The World Sailing Teams Association (WSTA) and Louis Vuitton today announced more Louis Vuitton Trophy regattas for 2010 and early 2011. These new international events follow the successful regatta held in Nice, France, last month. Each Louis Vuitton Trophy regatta is a stand-alone regatta sailed in event-supplied 85-foot long AC Class yachts that require a crew of 17 top sailors to sail. The regatta concept is designed to transform a port venue, regardless of its previous sailing culture, into the capital of professional yacht racing for two weeks, along with all the associated activities and excitement, on and off the water. The concept of the Louis Vuitton Trophy regattas was inspired by the acclaimed Louis Vuitton Pacific Series raced in Auckland, NZ, last February. 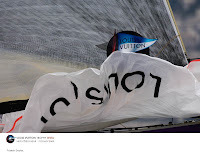 Apart from being a cost-effective way for teams to match race impressively large yachts close to crowds, the Louis Vuitton Trophy regattas also represent one of the most interesting media/marketing opportunities in yacht racing today. 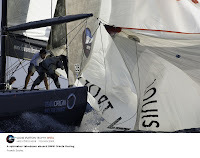 The innovative low-cost solution to live TV and tracking coupled with live expert commentary from on board the yachts pioneered in Nice last November, allows spectators, hospitality guests and sailing fans around the world to watch live races in a hybrid virtual and real video show on Internet (louisvuittontrophy.com). The use of AC Class yachts from the last two America’s Cups now scattered about the world allows the existing boats to be shared regionally without the necessity to constantly ship equipment back and forth; only the crews travel, making for cost- effective and easily organized events. The caliber of teams competing is second to none. Most sailors are either world champions, Olympic medalists, round-the-world sailors or past America’s Cup players. All teams competing at the Nice regatta came with either America’s Cup experience or future ambitions. Emirates Team New Zealand has been both Challenger and Defender in the past, BMW ORACLE Racing (USA) is the current Challenger of Record, while other teams such as Azzurra (Italy), TEAMORIGIN (Great Britain), Mascalzone Latino (Italy), Synergy (Russia), All4One (France/Germany), Aleph Sailing Team previously known as Team French Spirit (France), Artemis (Sweden) all have future plans. The Louis Vuitton Trophy regattas provide an opportunity to compete at the highest level using similar yachts, with only the crew’s sailing ability as the deciding factor. The cost to teams is also a fraction of an America’s Cup or an offshore campaign budget, something that has already attracted several new teams to taste the waters at this level of competition.